Manufacturer of a wide range of products which include industrial cartridge heater, cartridge heating element, ss cartridge heater, cartridge heater, ceramic infrared cartridge heater and d-type cartridge heaters. 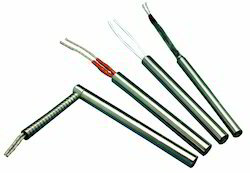 We are engaged in manufacturing, exporting and supplying Industrial Cartridge Heater. 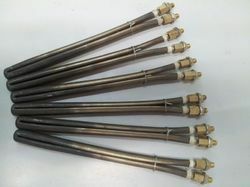 The offered cartridge heater is manufactured using high quality resistance wire inserted in refractory insulator with uniform heat distribution. This heater finds its application in dyes, moulds, plastic injections and shoe making industries. In addition to this, we offer this cartridge heater in various technical specifications at pocket friendly prices. 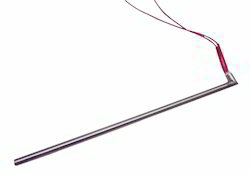 We are one of the leading manufacturers and supplier Of Cartridge Heating Elements. We obligated to meet the quality standards as per the customer demand. We are an acclaimed name engaged in offering our precious clients superior quality SS Cartridge Heater. This cartridge heater is designed in compliance with the set industry standards and manufactured using superior quality component and sophisticated technology to ensure high performance at the users' end. In addition to this, we offer this cartridge heater in various technical specifications at industry leading prices. Highly acknowledged for its quality, our company is offering our esteemed clients Cartridge Heater. 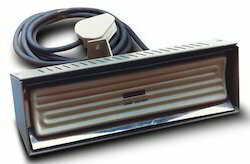 This cartridge heater is designed and manufactured using premium quality components by our team of professional engineers. Our offered cartridge heater finds its application in heating of metal parts, dies, moulds, plastic injections, extrusion barrels, core boxes and shoe making machines. 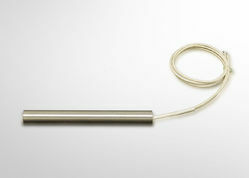 Moreover, we offer this cartridge heater in various sizes and designs in compliance to meet internationally set norms. We are renowned entity, engaged in offering optimum quality Ceramic Infrared Cartridge Heater. This ceramic infrared heater is precisely designed and manufactured using high quality raw material and latest technology in adherence to international quality standards. The offered ceramic infrared heater is stringently tested on set quality standards to ensure high performance at users end. Moreover, we offer this ceramic infrared heater in various models at industry leading prices. 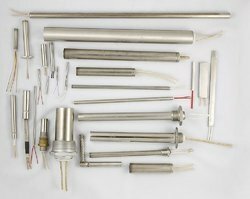 Being one of the renowned firms in the industry, we are decidedly involved in providing a premium quality array of D-Type Cartridge Heaters. 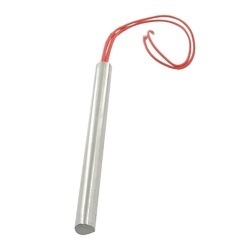 We Are Manufacturer Of High Density Cartridge Heater. We Are Manufacturer Of Packaging Machine Heater.